Short-haired amphibious marine mammal lacking external ear flaps that moves about on land by dragging its body; it is hunted for its meat, blubber and fur. Amphibious marine mammal with external ear flaps that moves about on land with the help of its four limbs; it is hunted mainly for its fur. 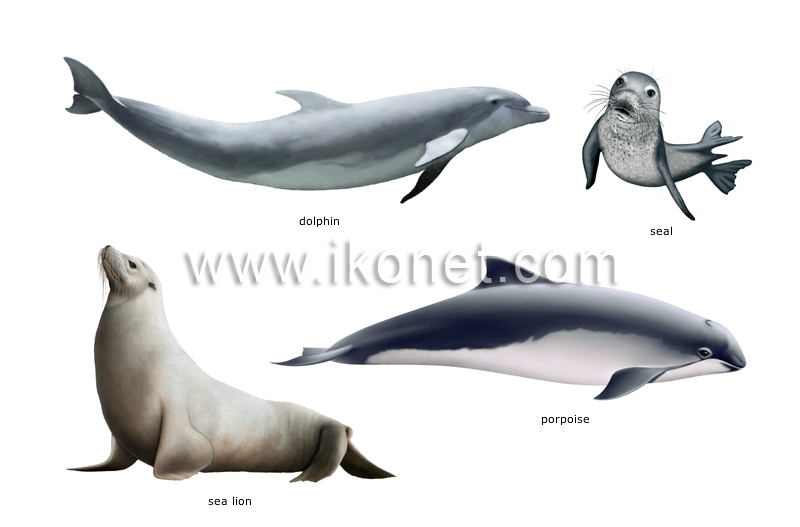 Mammal found in cold and temperate waters whose flesh is highly prized; it is a protected species. Mammal of warm and temperate waters famed for its intelligence; it is a swift swimmer (about 45 km/h).